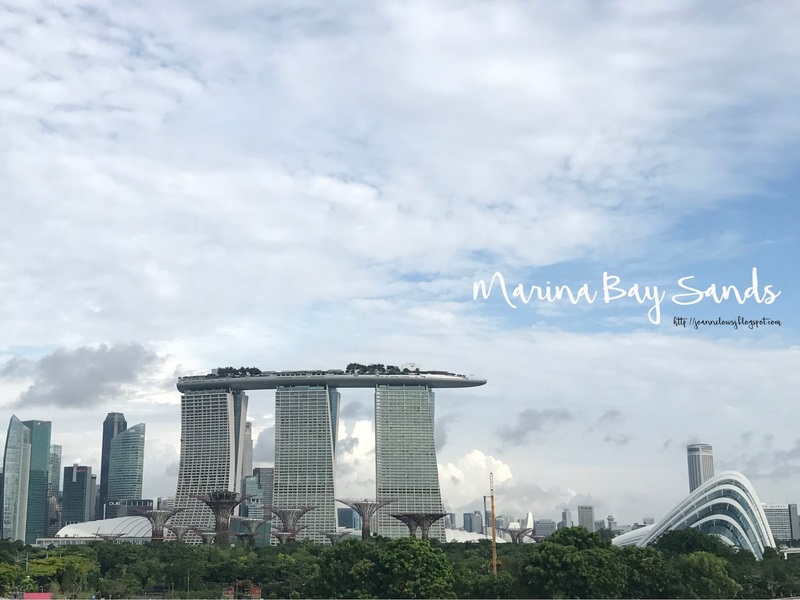 Last May, we had the opportunity to celebrate H’s birthday at Marina Bay Sands Hotel. Being one of Singapore's iconic hotel, this megastructure had awe many. Like many, we were impressed too. Especially the infinity pool that has one of the best viewing spot in Singapore. We booked the deluxe room, the most basic and affordable room in the hotel. The room is huge and I like how they gave complimentary TWG tea (huge fan btw!) Although we are not fascinated by the interior design, I absolutely love the view from my room. We were given a high floor with a full view of Garden By the Bay. Especially during evening time, the sun sets and everything seems so magical from the room. Plus I love how big the toilet is! Like all luxury hotel, it came with basic amenities. The only disappointment with the toilet is that it does not come with a bathtub for the basic room. Tip: Sign up to become a rewards member and you will get free highspeed wifi for all devices. Note: Food item from mini bar is chargeable and once you remove the item, it will automatically charge to your room. If you have a cake, you will have to request a separate small refrigerator at a fee of $10. The highlight of staying in MBS is definitely the visit to infinity pool. Till date, we are still impressed by how beautiful Singapore Skyline is today. The view from the infinity pool is equally stunning both day and night. Especially with a glass of cocktail, you get the best of both world. Tip: The sun sets around 6.15pm, be there around 6pm . If you prefer to visit the pool with less crowd, be there around 7.45am to 8am as most guest will be having their breakfast. Fortunately or not, during our stay in MBS, the restaurant for breakfast is close for renovation. Thus we had the opportunity to dine at Sky on 57 for international buffet breakfast. Although the variety is not wide I love how we can order coffee and eggs from our table. Alternatively, you can take a taxi and visit Old Airport Road for some authentic local food center for breakfast. There are so many alternative breakfast options in Singapore and trust me, you wouldn’t want to miss it. Take a taxi to East Coast Road and enjoy a bowl of Local Style Prawn noodle . Breakfast price at $45++ per pax . Overall service is pretty good. Although the wait during Check-In is long, hotel staff do go around distributing water and snacks to keep guest comfortable. Plus guest is entitled to use the facilities even after they check out! For guest who drives, you can purchase a carpark ticket - $7 for one-time entry or $12 for unlimited entry. You only have to drop and collect your car at the valet located beside Tower 1. Other than just a hotel stay, MBS offers many leisure activities for both the young and old. Observatory deck is free for hotel guest. Visitors need to pay $23/ adult for a visit. So be sure to check them out! Besides, Luxury boutique is a few stones away. Casino is open 24/7, available for those who wants to try their luck or just to see whats going on there. Interesting fact: Singaporeans and PR are required to pay an entrance fee of $100. For something more pocket-friendly, one can visit the light show at night (free) or visit one of my favorite attraction at home - Garden by the Bay. Every quarter, there will be different flower exhibits. So be sure to check them out!